Home big bucks Understand Deer Better to Make the Most of the Rut This Season! Understand Deer Better to Make the Most of the Rut This Season! Because normally secretive and wary bucks have the tendency to become careless and more visible during the rut, this time can be one of the most exciting of the hunting season to kill a trophy whitetail. This period can be a chaotic and unpredictable time in the field due to hunting pressure, weather conditions, and deer herd composition, so it’s important to fully understand how the rut works in order to leverage it for your success during the hunting season. 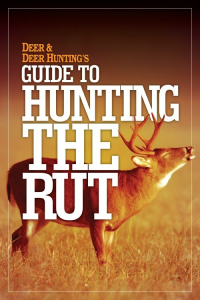 That’s where Deer & Deer Hunting‘s “Guide to Hunting the Rut” comes into play.